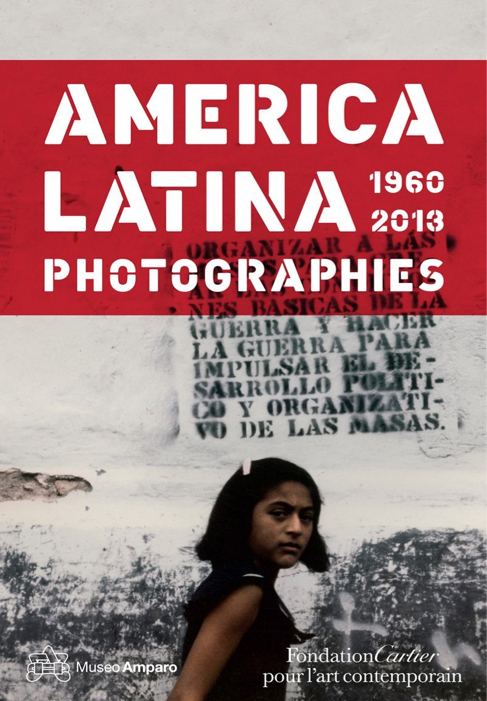 Book Review America Latina By Luis Camnitzer, Olivier Compagnon & Alfonso Morales Reviewed by Colin Pantall America Latina is a book of photographs from Latin America. That much is clear. It’s divided into four sections; Territory, The City, Memory and Resisting and Memory and Identity. What’s less clear is what Latin America actually is. & Alfonso Morales. Thames & Hudson, 2014. By Luis Camnitzer, Olivier Compagnon & Alfonso Morales. Thames & Hudson, 2014. 400 pp., illustrated throughout. America Latina, the catalog companion book to the exhibit of the same name that was presented at the Fondation Cartier pour l'Art Contemporain in Paris, is a book of photographs from Latin America. That much is clear. It’s divided into four sections; Territory, The City, Memory and Resisting and Memory and Identity. What’s less clear is what Latin America actually is. In an essay at the front of the book, Oliver Compagnon tells us that it is a fictional creation that has little political or cultural meaning. It is a Eurocentric tag that ignores the indigenous peoples and the slaves who were traded from Africa. It’s a hugely diverse region with ranges of health, wealth and education that in some ways make it a meaningless term. Compagnon believes there are reasons we should talk about Latin America. It has a revolutionary history that, for this book at least, begins with the Cuban Revolution and goes through to the victory of Nicaraguan Sandinistas in 1979. Latin America is also the home of ‘preventive coups;’ US-backed coups that established military led dictatorships in Brazil, Chile, Argentina and Uruguay. As we move into the 1990s and the US shifted its foreign policy eye to the Middle East, we see what Compagnon calls the ‘left turn;’ from being a testing ground for neo-liberal policies, it became the home of what seemed to be radical alternatives to neo-liberalism. But still, Compagnon insists, Latin America is in a bad place. Crime rates are high, poverty endemic, the wealth gaps are widening and the legacy of colonial rule is still evident in the racial stratification of Latin American societies; "It is indeed no coincidence that the Spanish and Portuguese languages, as they are presently spoken throughout the continent, still contain hundreds of words for describing skin color, from the lightest shade to the darkest." The sections of the book roughly correspond to these concerns and depict some common themes; strong graphic images, the use of text and the undermining of traditional forms of representation are all apparent as is the energy and anger of people living in communities and territories that seem to be in a constant state of flux. Mapping comes up a lot in the first section, Territory. This includes the work of Claudio Perna, an artist who contrasts the distancing cartographical elements of maps with the human complexity of the lands they are supposed to represent. More maps come in the work of Elias Adasme, an artist who "…establishes a metaphorical relationship between his body and the nation’s map." So we see him hanging upside down next to a large map of Chile, a comment on the torture and disappearances of Chilean citizens. The City section is more documentary than the art-based work of Territory. Sistema Nervioso shows the graphic chaos of Caracas in the 1970s, while Siesta Argentina Facundo de Zuviria shows the small trades and shop fronts of Buenos Aires. Miguel Rio Branco’s dye destruction prints shows marginalized people living on the fringes of Rio de Janeiro and Jose Figueroa shows the contradictions apparent in the everyday propaganda of 1970s Havana.